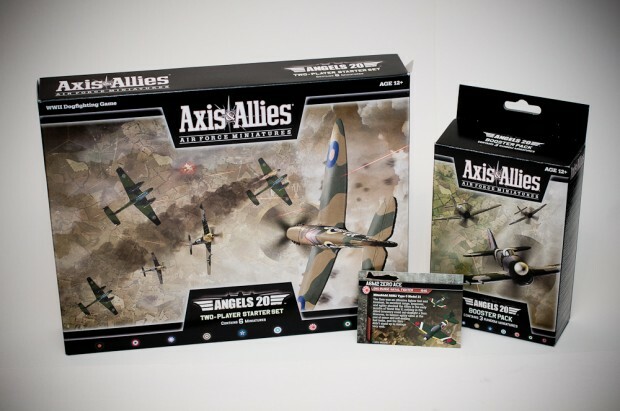 On February 21, 2012 Wizards of the Coast released the latest Axis & Allies collectible miniatures game, Axis & Allies Air Force Miniatures: Angels 20. The Angels 20 set has both a starter as well as boosters. The starter is essential as it contains the rules, maps, and everything required to start playing. One great thing about this collectible miniatures game is that all 31 cards for the Angels 20 set are included in the starter. No longer will you have to keep track of hundreds of cards. This great decision by Wizards of the Coast both helps reduce waste as well as the amount of space required to store your set. The MSRP for the starter is $39.99 and boosters are $24.99 making this game quite pricey. If you insist on purchasing your game at your FLGS (friendly local gaming store), then expect to pay this amount. 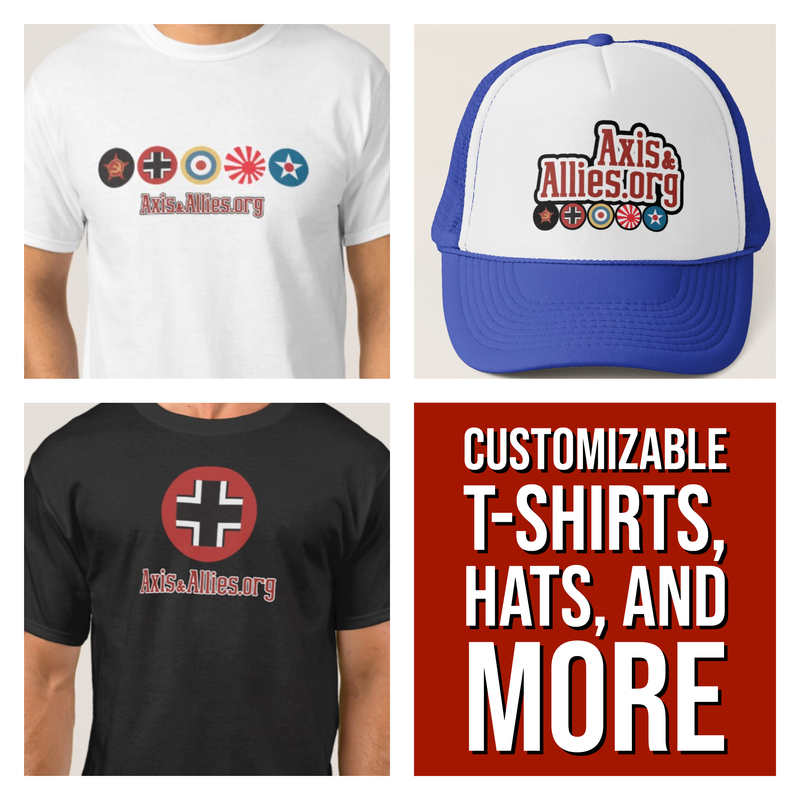 If you go online, however, expect to pay much less. For instance, as of writing, on Amazon, the the starter is only $26.39 and booster are only $16.49 . 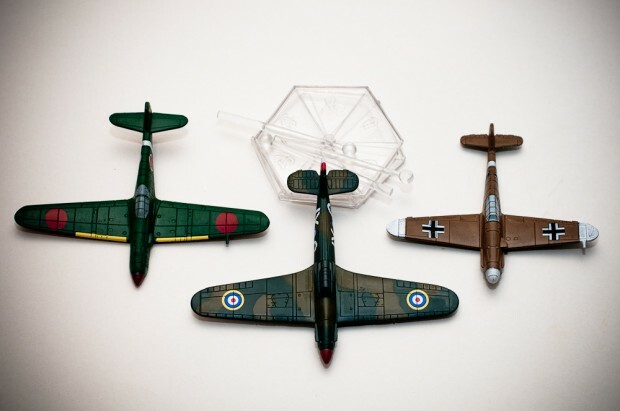 Although the game can be pricy, if you’re not a bargin shopper, the size and quality of the miniatures is very good. 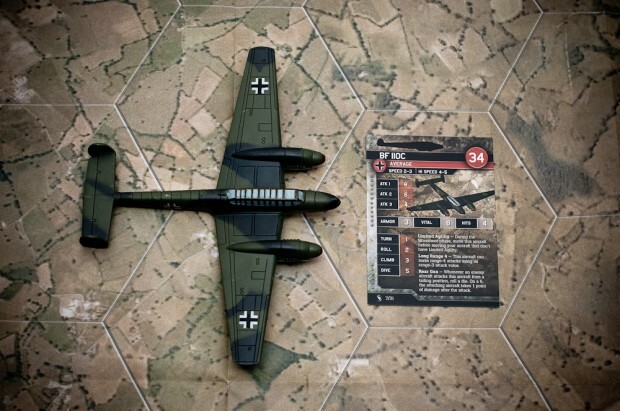 Take a look at the pictures in this article that show the planes next to the card. 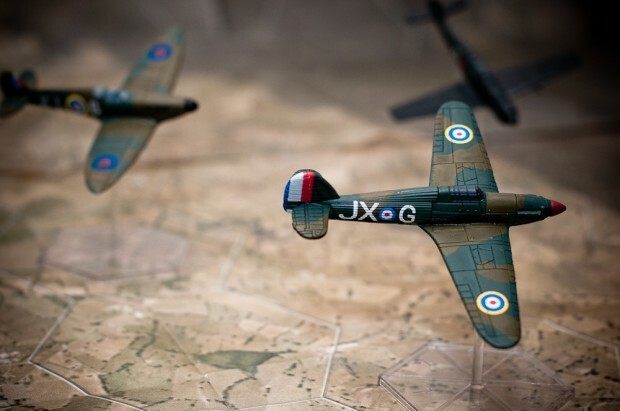 They miniatures are very large, firm, sturdy, detailed, and well painted. In short, very high quality. When on the stand, they pivot in all directions, which is actually important to game play. 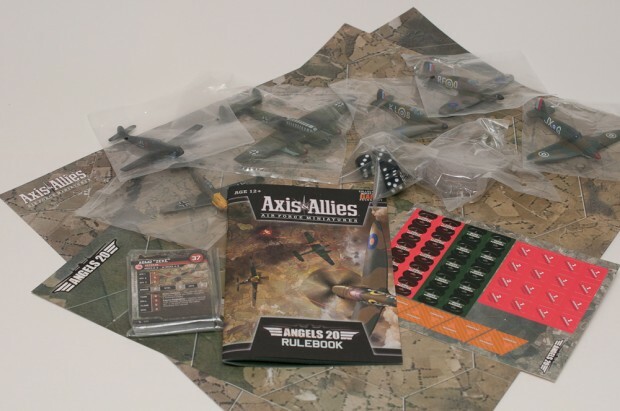 The rulebook is good quality and the rules are well presented in a manner consistent with previous Axis & Allies Miniatures games. Although I have played only one game, I found it intriguing. 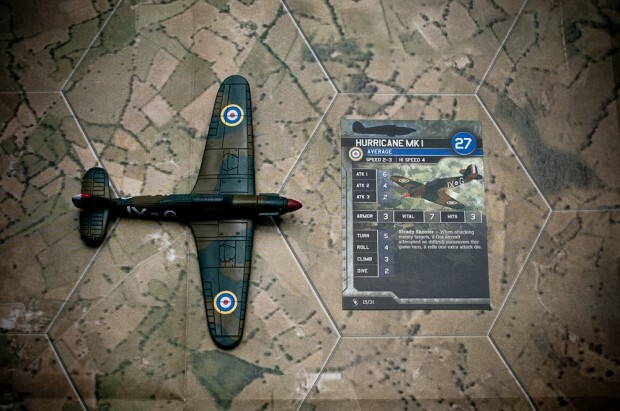 The game is all about positioning and predicting where your opponents planes might end up. If you lose or have critical damage on key planes and you’re out of position, it can be difficult to come back from behind. The game itself lasted under 1 hour and that was playing with only 2 planes on each side. I’m certain that with practice, games could be completed in much less time. My initial thoughts on the game play are positive and I can’t wait to play another round or five. One strange thing that I encountered is that the number of hexes on the map does not match the rulebook. This can make setup for some of the recommended scenarios a little frustrating. Another minor point of frustration is regarding the elevation indicators on the stands. The transparent stands are awesome and help give the sense that the aircraft are flying but the numbers on the base are hard to read. This problem, however, can be easily solved with a fine point (or brand new regular) permanent marker. Full disclosure: Wizards of the Coast sent me a complementary starter set for review purposes. However, I purchased three boosters on my own. 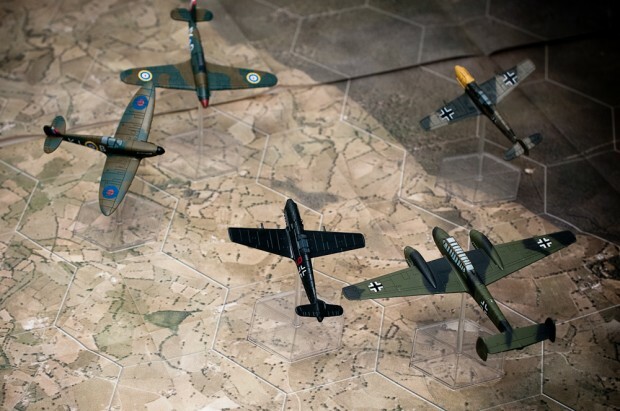 For more discussion, check out the Axis & Allies Air Force Miniatures Forums.